An American, a Japanese and a Russian in the shoe shining contest, and a Polish, a Frenchman, and a British Gent in the patina competition. These are the finalists of the world champs contests taking place during the London Super Trunk Show on March 23. See their submissions below. 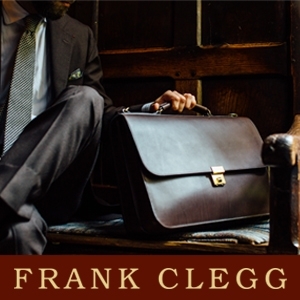 You may read all about the London Super Trunk Show in this article, and great if you can visit the event’s Facebook page and let us know you’re coming and help share the event. It takes place on Saturday, March 23, in the heart of London at the new venue Showcase.co on 12 Regent Street. Here we gather 10 great exhibitors, Altan Bottier, Bolero, Carmina, Gaziano & Girling, J. FitzPatrick Footwear, JSEP, Japan Shoes Export Platform (Miyagi Kogyo, Matsumoto and Kiten), Norman Vilalta, Project TWLV, Shoepassion / Heinrich Dinkelacker and Skolyx / TLB Mallorca. The main partner of the event is Saphir, and another partner is J. Hopenstand. The World Championships in Shoemaking will have its award ceremony and competition shoes displayed (more than 70 registered contestants). Plus then the two other world champs contest that is the topic here. Alexey Vrublevskiy, Russia. One of the pioneers of shoe shining in Russia, who has been part in introducing the Russian shoe shining championships Shoesing Awards. 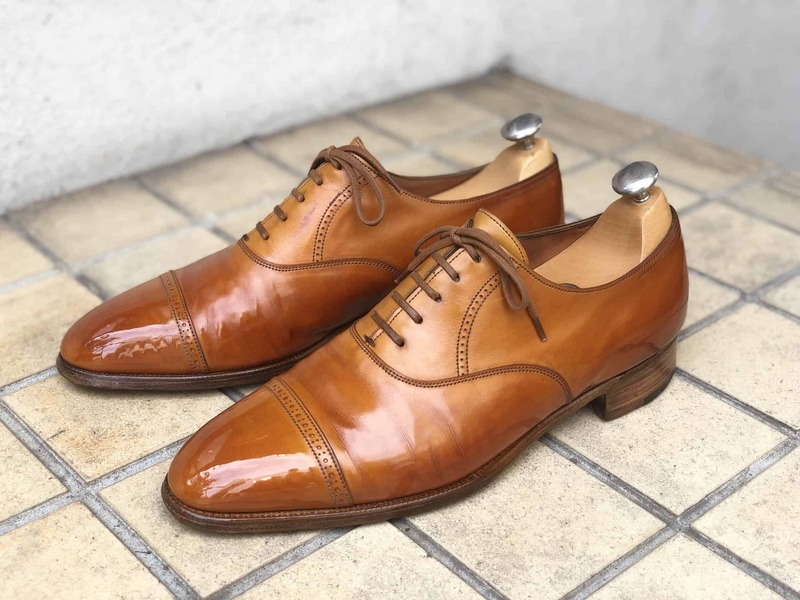 Alexey Vrublevskiy’s shoe has obviously an amazing spit shine on the toe, but also a nice depth in the shine really making the classic plain cap oxford stand out. Caleb Malinowski, USA. The first American to make it to the final. 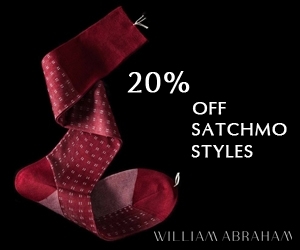 Caleb is working at the menswear store Sid Mashburn in Texas. 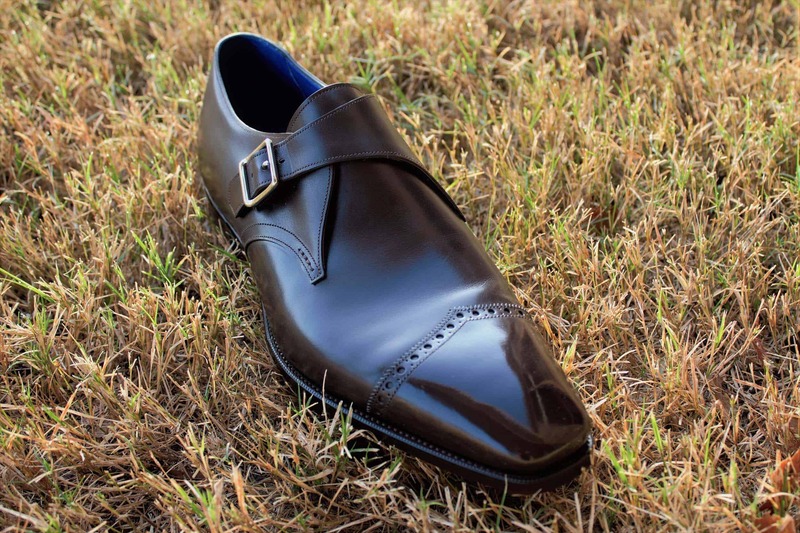 His sublime shine has that perfect transition between the high shine toe cap and the rest of the shoe, highlighting the curves of the shoe perfectly. Yuta Sugimura, Japan. Owner of the shoe shine bar Y’s Shoeshine in the city Shizuoka, a true professional in the field. 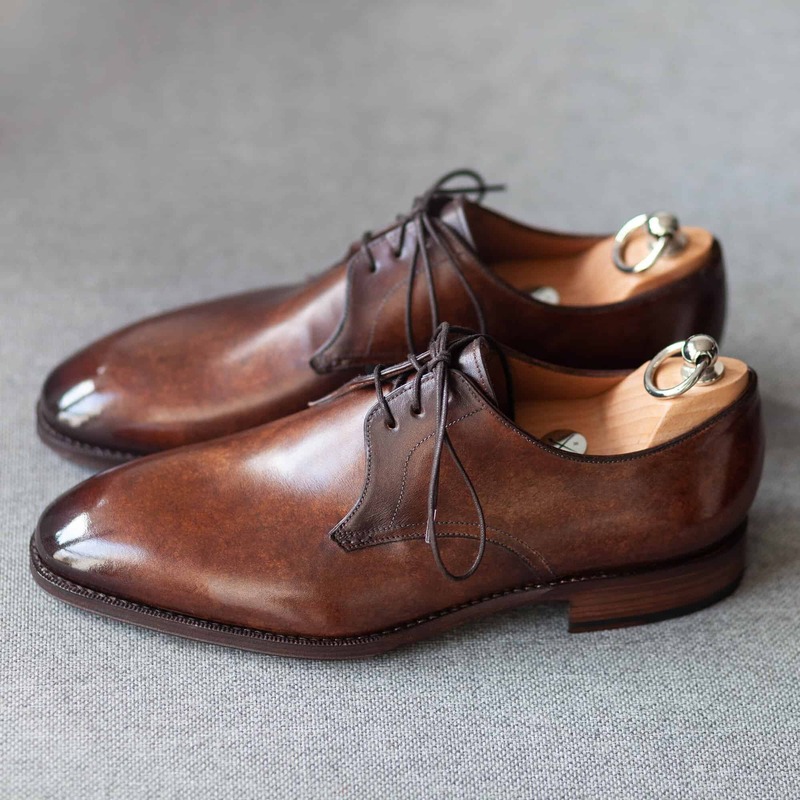 A well worn pair of tan oxfords has received a super shine where both the toes and heels glow. This is how you want your shoes to look when they come at age. Stephane Villette, France. 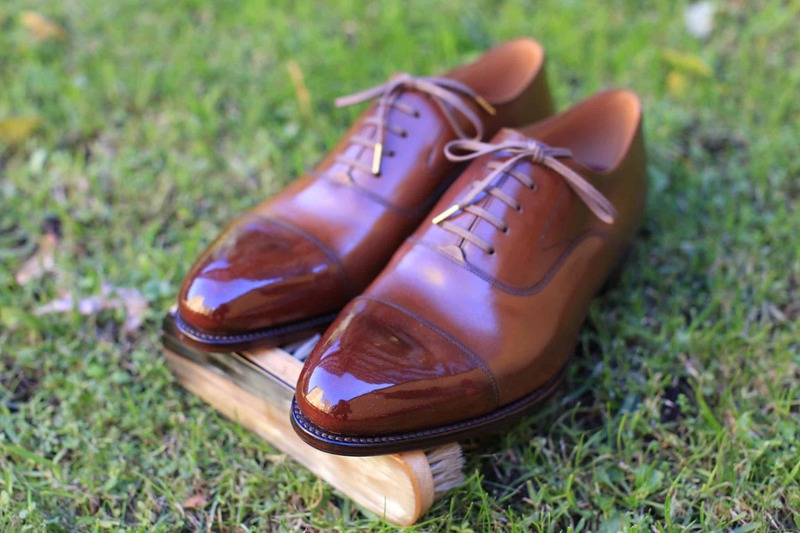 A “grand old man” in the world of shoe patina, who has worked with painting shoes since 1994, today among other things paint the bespoke shoes of Stephane Jimenez. 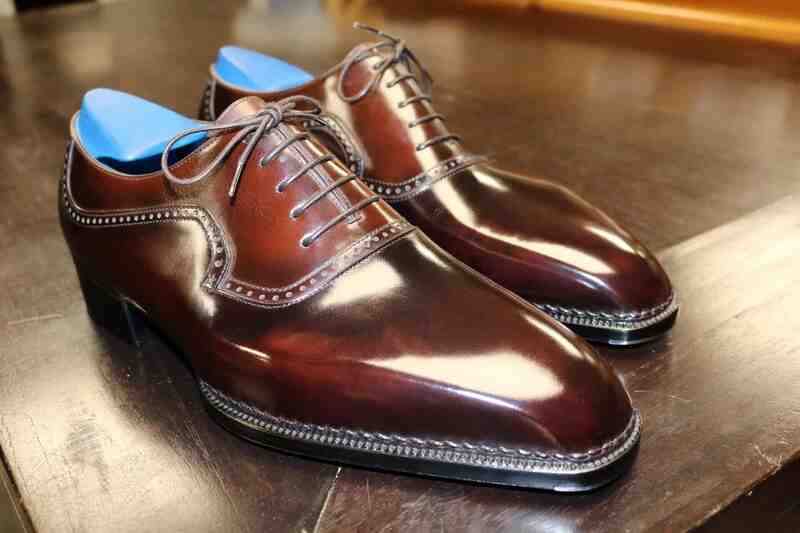 Here Stephane Villette shows off a relatively muted patina, which has given the shoes a depth you can almost drown in. Andrzej Olender, Poland. Runs the largest shoe patina and glacage service of Poland, The Shine. His qualification pic is of a pair of derbys with a gorgeous marbled brown patina. Even if you look up-close it looks very natural, great work. Samuel Norsworthy, England. If Villette is a patina veteran, Sam is a rookie. 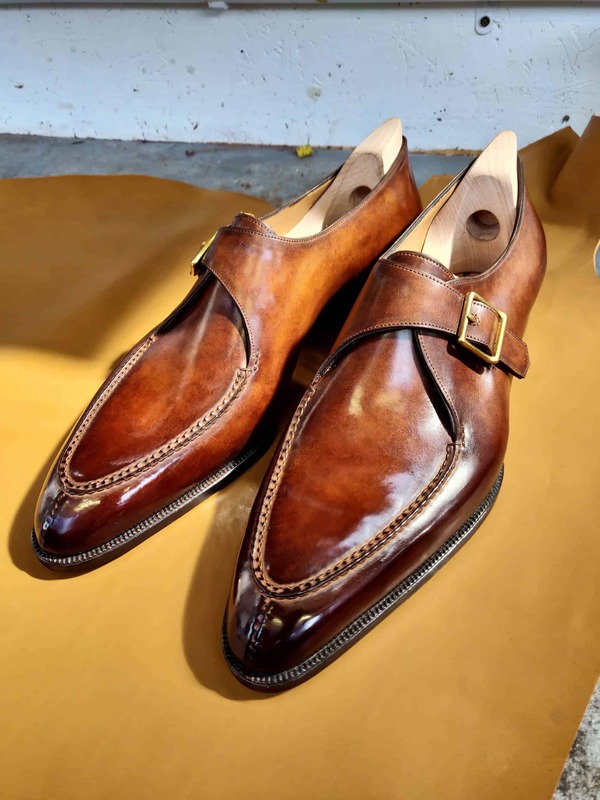 He started working at Gaziano & Girling just a couple of years ago, where he has been extremely dedicated and learned closing uppers, clicking, painting patina and shining shoes, from the masters working at the company. This single monk has beautiful, living transitions from the light brown in the middle of the shoe up to the dark toe. Don’t miss the above battling it out at the London super trunk on March 23! Patina contest will go on between 11.15-17.15 (1 hour break 14.45-15.45), award ceremony at 17.30. Shoe shining final is at 15.00-15.30. 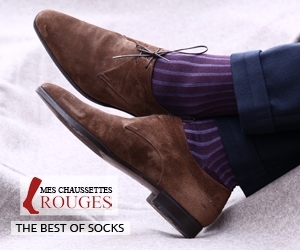 I like the brogue shoes in tan color, good to hear about the exhibitions and brands.